A few people have asked me why I have stopped commenting on American party/electoral politics. The answer is simple: we know what the state of affairs is, we know the elements that have produced it, we know what has to be done – and we know that it manifestly is not being done. There is no mystery about any of this. Nothing has changed over the past year since the Orangutan’s ascendance which, in turn, has cleared the way for the long promised Republican troupe’s rampage against the 20th Century. So, what’s the point of repeating what was written a year or two or three ago? If those of us who share a certain perspective have made not the slightest impression on the American body politic, and if that is due to the overwhelmingly powerful forces that have warped its sense of reality, then another couple of thousand words cannot make a difference. To do so merely titillates for a few moments – like a Saturday Night Live skit – without changing anything of consequence. Titillation is not to be cast aside in this glum era even though its relief is fleeting. But let’s face it, that experience is just an emotional ant-acid for someone whose social world has gone wildly off the rails. To underscore the point, let’s pose a few rhetorical questions. Shouldn’t it have been obvious two years ago that Donald Trump was mentally ill? Do we encounter a person in everyday life who speaks, acts and looks like he without quickly reaching that conclusion? Yet, the media and the commentariat almost unanimously accepted the admonition of the psychiatric profession that the “Goldwater rule” should be observed – and with good reason since a clinical assessment would depend on an extensive person-to-person observation. Even today, in the light of massive evidence that Trump is a perfect case of malignant narcissism, the prevailing view holds that asserting this truth does not show proper respect for the Office of the Presidency. The appropriate retort is to affirm that respect for the office can be shown by taking off one’s shoes before entering. The widespread disposition to treat Trump as just another President with a few odd quirks, is to ascribe logic-reason-a sense of responsibility – and intellectual coherence where none exists. Heavyweight journals refer to his recently promulgated “security doctrine,” for example, as if it weren’t simply a cut-and-paste assemblage of Trump’s emotional ejaculations interspersed with bits of the same dreary boiler-plate that reappears in these overblown declarations year after year. Can anyone provide a plausible statement of our “strategy” vis a vis China, a reckless Saudi Arabia, Syria, Iran, or Russia? The only place where a logic is discernible is Central America. There, Trump has strengthened our long dishonored practice of backing autocrats who ignore democratic practices for the sake of protecting the privileged position of the ancient feudal oligarchs and American extraction businesses (in Panama it’s financial businesses that extract money from clients who benefit from its tax avoidance services). That strategy, fully backed by Barack Obama in his day, won us Honduras’ vote in the United Nations General Assembly on the Jerusalem resolution – along with Naura, Vanuata and a handful of other great powers. Context, background and consequence don’t make it into the MSM’s coverage of either the U.N. or Latin America. Isn’t the near total absence of informed, fair and critical coverage of American misadventures abroad a matter of cardinal importance that helps explain the malady that afflicts the Republic – personified by, but far deeper than Donald Trump? The Washington Post reads like PRAVDA or IZVESTIA in the old days. Nothing but a loud-speaker for the neo-cons and aggressive nationalists who dictate our policies abroad. A couple of weeks ago, the paper ran a long editorial belatedly expressing outrage at the humanitarian tragedy in Yemen – yet, said not a single word as to Washington’s material and political backing for the Saudi-led air campaign that could not operate without that aid. The WP’s falsity reaches new lows in hypocrisy and baseness even by today’s degraded journalistic standards. The New York Times is no better in its relentless campaigning against Iran, Russia, Venezuela, China and whomever else won’t bend the knee to Uncle Sam. Is there any mystery as to what is happening on the domestic front? The tax bill is nothing other than a looting of the nation for the sake of the 1%. It is thinly disguised pillage. The associated cuts in social programs represent a giant step in the Republican project of the past 40 years to repeal a century of progressive legislation. Their point of reference is not the 1920s, but rather the Gaslight Era of the 1890s before the federal income tax was introduced. For the true Tea Partiers, a related virtue of that period was the subordination of people of color and a much smaller fraction of immigrants from Southern and Eastern Europe (these days, Latinos serve as the surrogate). This is historic – a Reactionary revolution without precedent. It is reshaping American society in fundamental ways that will endure. This disconcerting truth is largely invisible to the editors, writers and pundits who determine how we understand the world of public affairs. For the most part, they treat it as a sporting contest. “Trump Triumphs After Earlier Defeats.” “Republicans Exult” “How The Republicans Strategy Was Designed.” “Trump Turned Adversity Into Success: The Inside Story.” “Who Wins And Who Loses From The Tax Reform?” All these headlines appeared on the front page of the NYT. “Who won?” – is that an open question? Would the NYT editors ask it about a big Mafia heist at Kennedy Airport? ‘Reform?” – by whose definition? Then there is this gem – the ultimate in confused misrepresentation. “For G.O.P., Tax Law Is a Salve, But Hardly a Cure-All for 2018” (December 22). What exactly is the NYT trying to say? That this historic attack on salaried workers, this enriching of the already rich, is an electoral asset? That it conforms to the wishes of the public? That it will win them votes? Or, is the unstated and key factor the unwillingness of the Democrats to contest the confected Republican narrative? Perhaps, they mean to say that it makes the Party’s rich paymasters and anti-government base pleased. If so, is the salve protection in the primaries from militant Tea-Partiers or against the Democrats? A “Cure-All” for what? Are the NYT simply incapable of candid reporting, or have they slipped their traces like so many others in our disoriented society? After all, these are the same people who gave us a lengthy profile of a neo-Nazi that reads like a Michael Phelps promo puff piece. While the Times’ editors (and the other MSM) play these parlor games, Trump is spending Christmas boasting to his fat-cat friends at Mar-a-Lago how he’s just made them much richer. And they gloat at how the administration is systematically dismantling the entire federal regulatory apparatus. Example: proprietors of nursing homes can now abuse their elderly and sick without concern for penalties imposed by federal monitoring bodies – penalties that themselves had involved nothing more than nominal fines on exceptional occasions. This NYT’s off-kilter mindset is a reflection of how our culture has come to view most everything. No good or bad, no judgments, no values. Just a pluralism of egos in a contest of all against all for status, attention, power, and money. This is the mindset of fantasy football applied to grave matters of state. (“GOP Win Comes After Chaotic Start” Dec.25, pg. 1; “Patriots Win Comes After Chaotic Start” – any given Sunday). The latter, though, affects only the mood of fans for a few hours with no other impact on the real world. The former has profound and lasting effects on the lives of everyone. To put it somewhat differently, what counts is not the game aspect, but the content – the consequence of winning or losing the contest. Inability to differentiate the two is juvenile – it’s the way a 6-year old views things. How can we be surprised by Trump’s shenanigans, by Republican mendacity that this is a “middle class” tax cut, by the fecklessness of the media in a country where countless millions spend their lives in close communion with electronic gizmos and watching inane television shows where even their laughter is canned? You pay a price for this type of orchestrated numbing of sensibilities and dumbing of the citizenry. What person who retains a modicum of God-given sense and reasonableness could have expected otherwise? After all, this is a country where daily the latest episode of somebody’s unwanted kiss or embrace displaces entirely attention from the national disgrace and humanitarian disaster that is Puerto Rico. The Republicans don’t give a damn about these far-away people of the wrong color who speak the wrong language. The impotent Democrats take consolation from the resulting mass migration to the mainland which might help them carry Florida or Illinois. One is fascinated by the strangest interactions between pop culture and politics. Consider this proposition: Kim Kardashian, our celebrity culture’s embodiment, did more to elect Donald Trump than Vladimir Putin and James Comey combined. Outlandish? Outrageous? No - Resurgent racism in America is never divorced from white male insecurities. As to the assumption that we know what has to be done, a qualification is called for. It probably is too late to reverse the reactionary wave. All we hope for is to stem it. The great political anomaly of our political times is that Republican electoral successes - at local, state, and Congressional levels as well as managing to put a Trump in the White House – occur despite the locus of national opinion on most issues coinciding with the positions of the Democrats. Indeed, on some critical ones (like health care) it is well to the left of the party leadership. The list of what ails the party is a long one – an obvious list of basic flaws. Its dominant corporatist wing is fatally compromised on socio-economic matters; it is corrupt; it is controlled by self-absorbed careerists; it has passively allowed the Republicans to set the terms of discourse on just about every issue except gay marriage; it is intellectually lazy; and – not least – it’s dumb. To be perfectly blunt, its senior figures are, for the most part, second-rate hacks. Given the huge opportunities that they have been given over the past year, they have done little but beat the dead horse of Russian electoral interference. Is “hack” too severe? Well, who else but a hack would lack such elementary political instincts as to announce as their new motto for a new era: “A Better Deal” – and to announce this DOA creation of a well-paid consultant on a late afternoon during the dog days of summer? Its leaders can barely drag themselves to a microphone to ensure that the opposition gets on the evening news after the latest outrage. (The intrepid duo of Elizabeth Warren and Bernie Sanders being the notable exceptions). They avoid the provocative, riveting comments that command attention. For weeks on end, they are a phantom presence in the media; meanwhile the NYT continues to run a super-script on every page of domestic news in the print edition “THE 45th PRESIDENT.” To let that happen indeed justifies the ‘S’ word. Consider this cardinal feature of today’s political scene – unremarked by our crack journalists. The Congressional Republicans from coast to coast exhibit a disciplined unity without precedent in our political history. 51 Senators to a man and woman vote for legislation that turns America upside down. Several of its provisions run counter to the views of a large majority of potential voters. Enthusiastic support is limited to around 20-25% of the population. Yet, no one breaks ranks. How is this possible in the politically decentralized American system? This is the key question for understanding current party politics in the United States. The answer: Republican office-holders are held hostage by the party’s Tea Party wing who are ever ready to challenge the incumbent no matter his impeccable conservative credentials if s/he thwarts their desires. This puts fear in their hearts. Recall the fate of Bob Bennett in Utah. Obedience is the only thing that stands between them and spending one’s golden years selling insurance in Caribou, Maine. What of the risks thereby incurred in the general election? Well, the harsh truth is that their Tea Party minders pose a more credible threat than does the Democratic opposition in the Fall – such is their pathetic state. It doesn’t take a political genius to see that the Republicans are literally stealing the country, and its political system, out from under them while they go on endlessly about a bunch of sleaze balls (some of them Democrats) meeting in seedy hotel rooms with self-designated Russian operators who know a mark when they see one. Trump will not be forced to resign. He may abdicate, though. He finds the routine tiresome, he can’t stand the carping criticism, and his misses his former carefree life when he could assault women at his whim. Were the Mueller investigation to dig deeply into Trump’s dealings with various international criminal organizations (wherein he may already have committed several federal felonies), that could set the scene for him to declare victory in turning America around, bellow “Mission Accomplished,” and to ride off into the sunset. But Mueller seems hesitant to open that can of worms which could implicate foreign leaders (Bibi Netanyahu above all), some financial bigwigs in New York, Amsterdam and Panama, and well-connected power brokers with links to both parties. Were we nonetheless to arrive at that point, Trump would be succeeded by Pence who is as extreme a reactionary on policy as Trump but clinically sane. The Republicans would hold the Congress. Pence would be 50/50 to win in 2020. Against whom? Joe Biden? Tim Kaine? Andrew Cuomo – Chris Christie’s partner in abuse of public trust, sworn enemy of public school teachers and Wall Street’s dependent? What would be his platform: I know more gay people than Pence does? I guess Monica Lewinsky is a longshot. Shut the lights – the Party’s over! These 2,000 words notwithstanding. is a recognized authority on risk assessment & management, American foreign policy, and geopolitics. He is a "Fellow" of the Energy Institute at the University of Texas at Austin and a Fellow at the Center for Transatlantic Relations SAIS-Johns Hopkins. 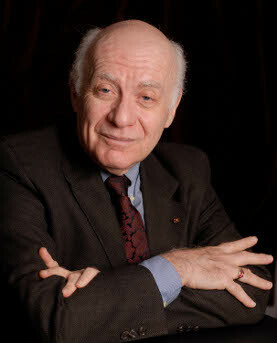 He also is Emeritus Professor of International Affairs at the University of Pittsburgh. He was the Director of the International Relations & Global Studies Program at the University of Texas until 2012. His record of publication on a broad span of international issues is complementary to his extensive activities in the policy realm. He has been an advisor to the United States government, a consultant to global corporations, a prominent participant in the programs of leading Washington think tanks and a prolific commentator on public affairs. He contributes essays regularly to the Huffington Post, the National Journal, and the Pakistani Spectator and also has written for al-Arabiya. Prof Brenner’s consulting includes the United States Departments of State and Defense, the Foreign Service Institute, Westinghouse Corporation and Mellon Bank. Professor Brenner has worked in the energy field for 30 years. He directed a project on International Energy & Natural Resource Issues sponsored by the Exxon Educational Foundation that produced a series of 20 case studies. He contributed studies of the Persian Gulf Reflagging Crisis, Oil as a Coercive Instrument in the 1970s, United States – China Bilateral Nuclear Accord, and US-France Dealings in Nuclear Energy. In addition, he organized the Pittsburgh Energy Seminar while at the Graduate School of Public & International Affairs, was Rapporteur for the Conference on Technology Transfer: Government & Industry in the Energy Sector at M.I.T. In the environmental policy field, he has conducted research on environmental management issues at the Scripps Institute of Oceanography (La Jolla), Natural Sciences Research Council (London), and the Center For International Affairs (Harvard University). He is the author of America’s Environmental Dilemma (Lexington Books) and The Scientific Advisory Function (Scripps Brenner is the author of numerous books, and over 70 articles and published papers on a wide range of topics. His most recent works are:; Democracy Promotion and Islam; Fear and Dread In The Middle East (also translated into Arabic);; Toward A More Independent Europe (Royal Institute of International Relations), Brussels), Narcissistic Public Personalities & Our Times.. His writings include books with Cambridge University Press (Nuclear Power and Non-Proliferation), the Center For International Affairs at Harvard University (The Politics of International Monetary Reform); Institute of International Affairs at Cornell University (The Functionalist Theory of European Integration); the Brookings Institution (Reconcilable Differences, US-French Relations In The New Era) and publications in major journals in the United States and Europe, such as World Politics, Comparative Politics, Foreign Policy, International Studies Quarterly, International Affairs, Survival, Politique Etrangere, and Internationale Politik. Prof Brenner has directed multinational research projects with colleagues in France, England, Germany and Italy supported by grants from the Ford Foundation, NATO and the Commission of the European Union. Brenner is an invited lecturer at major universities and institutes in the United States and abroad, including Georgetown University, UCLA, the National Defense University, the State Department, Sorbonne, Ecole des Sciences Politiques, Royal Institute of International Affairs, International Institute of Strategic Studies (London), King’s College of the University of London, German Council on Foreign Relations, Konrad Adenauer Foundation, and Universita di Firenze. Brenner has held previous teaching and research appointments at Cornell, Stanford, Harvard, MIT, Brookings Institution, University of California – San Diego, University of California – Berkeley, and Distinguished Visiting Fellow at the National Defense University. He also has been a Fellow of the Center on France & the United States in Paris. His memberships include: APSA, ISA, IISS, Forum du Futur (Paris). Prof Brenner is proficient in French and English.